This little boy fetches water every morning for his parents, he can't even help himself with it and he always wave with the bucket of water. 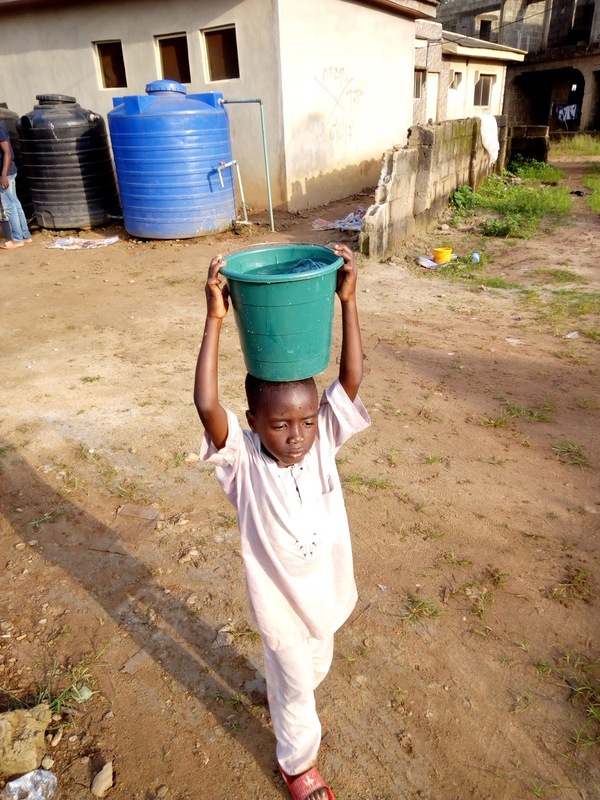 When others are in school, he is busy carrying this bucket of water seeking where he Will get water to present to his parents. I think this is Child's abuse and parents who do send their little children to do tedious works like this, should deviate from it.